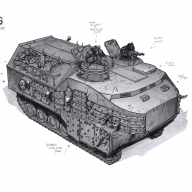 These are the final concept designs for the Tank Hunter tank and the Mobile Artillery tank (both based on the same chassis, vaguely WW2-inspired). 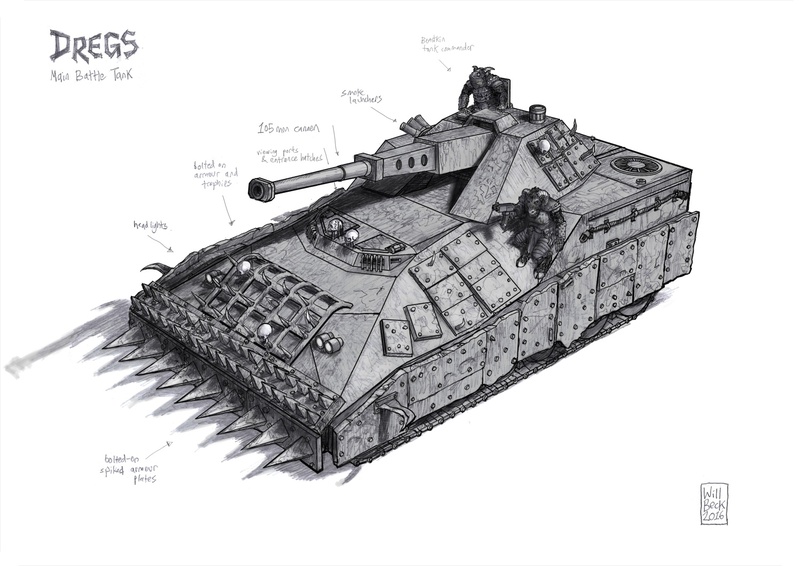 I gave the tank hunter metal tusk-shapes to give it a brutal look and the artillery tank a load of spikes on the ‘dozer blade so they would look different at a glance on the tabletop whilst still retaining the spiky, ramshackle nature throughout the range. 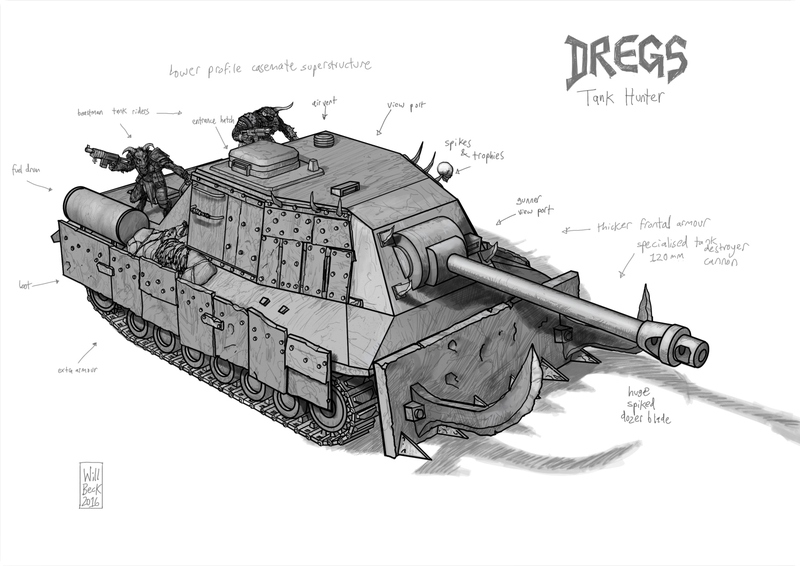 Some more of my work for Microworld Games, this time the Dregs’ armoured troop carrier. 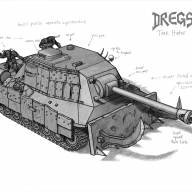 I imagined the Dregs would be like a tribe of warriors and this could be their mobile long-hut. 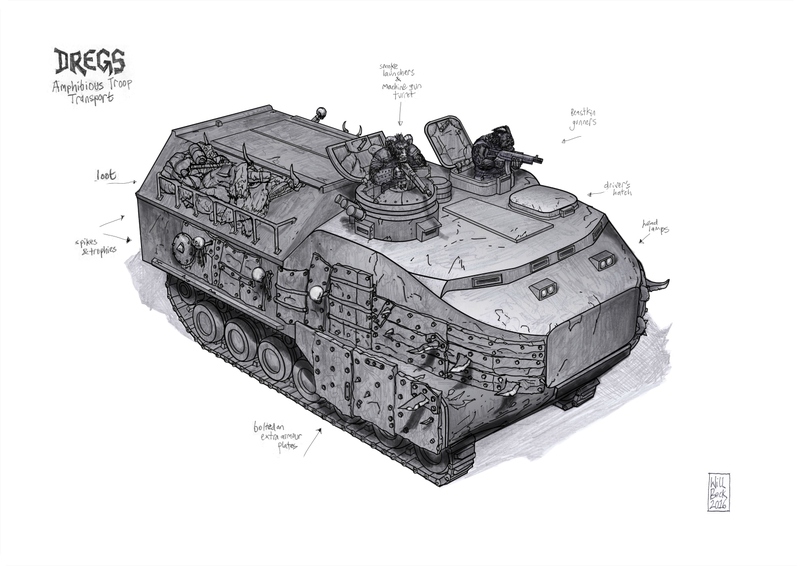 This one was partly based on the AAV-7 amphibious APC which has a jutting front like a jaw (for travelling in water). 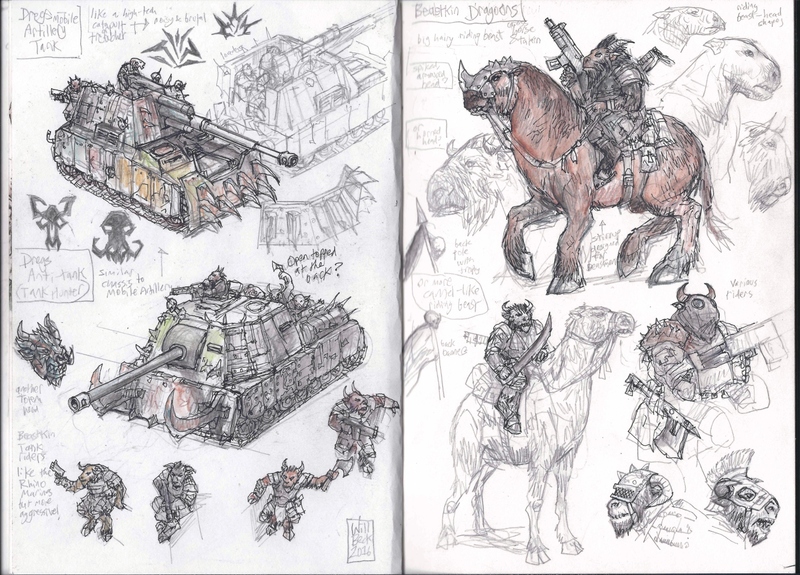 These next two pages are of my initial ideas for the Dregs’ Mobile Artillery Tank and Tank Hunter with lots of little beast-men riders as I thought they’d add to the noisy, boisterous nature of the army. 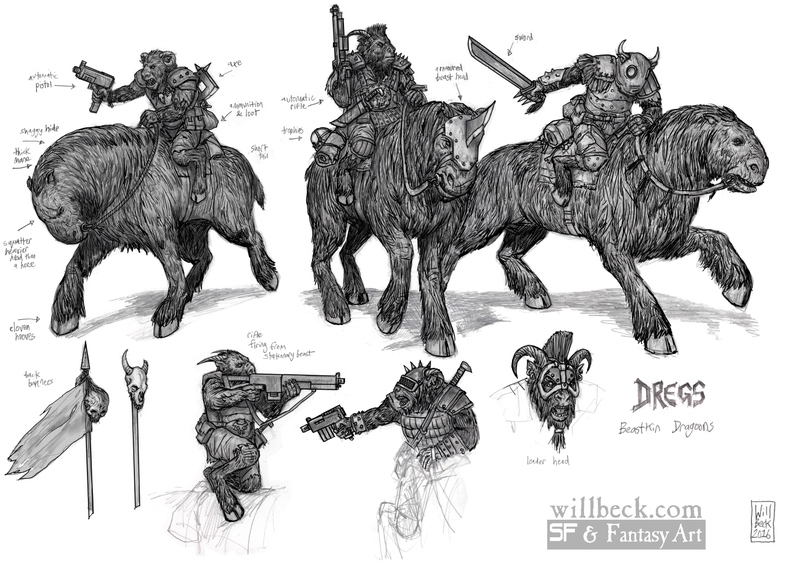 On the opposite page are some early ideas for the Beastkin Dragoons, beastmen riding on horse-like beasts to war. This is another Miniatures Concept project that I was commissioned for earlier this year. 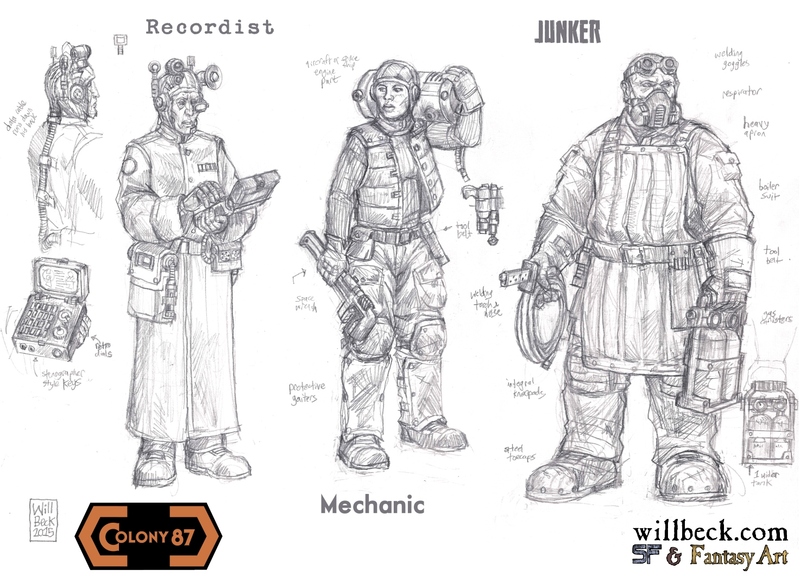 It’s for a range of Science Fiction 6mm miniatures produced by Microworld Games for epic scale fights. 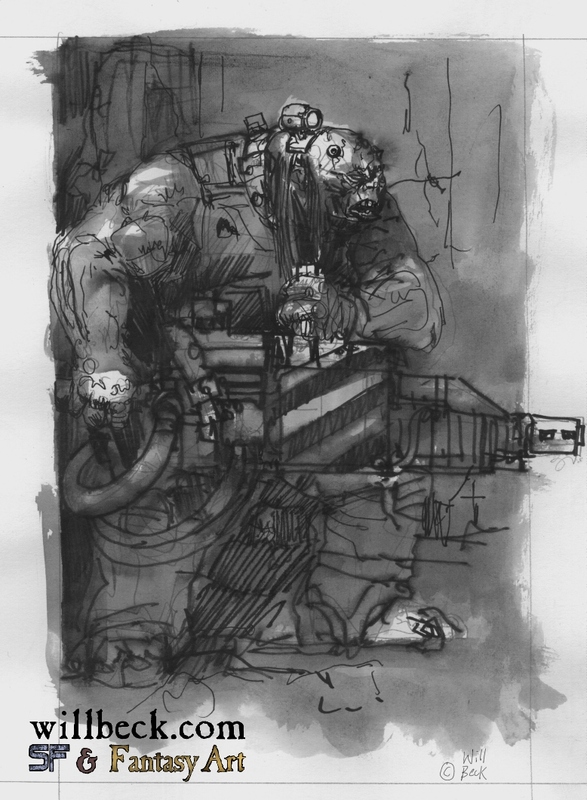 I was to produce some concept drawings for the various units for the Dregs, the mutant beast-men. 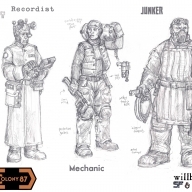 I was given a brief description and some images to start with so I based my initial sketches on these to get a flavour of the units. 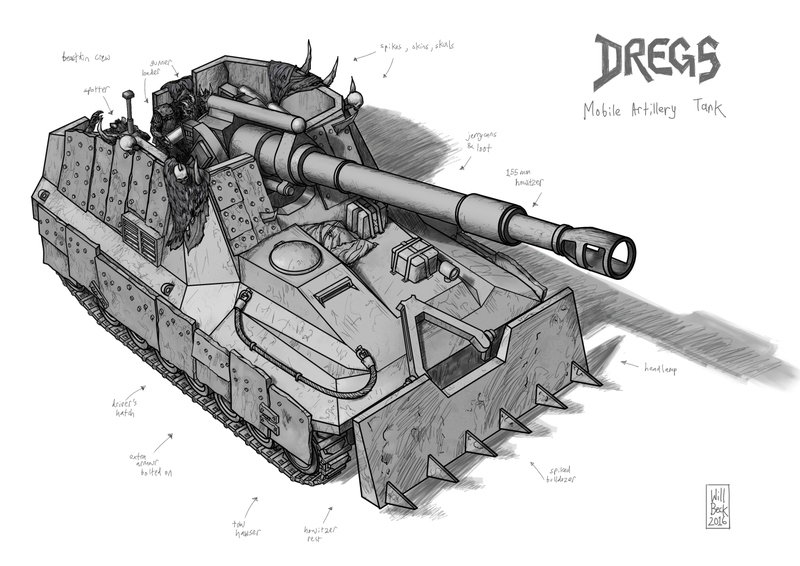 This first image was of the Dreg’s Main Battle Tank. 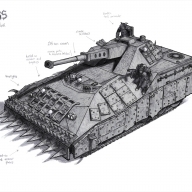 It had to look functional but also brutal so I had a look at British Chieftan tanks as they have a distinctive silhouette along with some other directions from the brief (including a G.I. Joe tank!). The spikes, trophies and extra armour were all added by the Beastkin Raiders themselves. 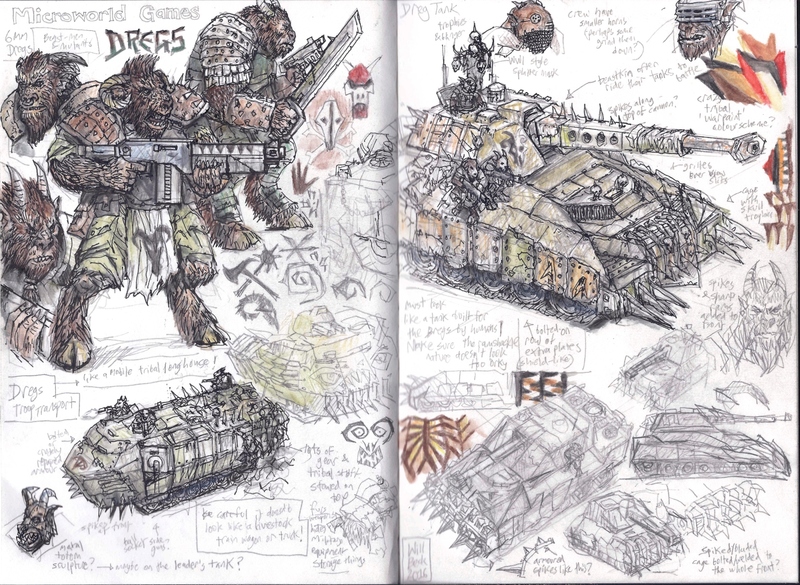 I imagined them riding the tanks to battle, eager to leap off into the melee.